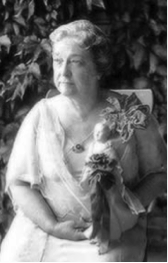 Moina Michael was an American poet, humanitarian and university professor whose main claim to fame was that, having read John McCrae’s evocative poem about Flanders Fields she conceived the idea of making the poppy an everlasting symbol of remembrance for the millions of lives lost in World War I. Her career as a teacher began at the tender age of fifteen at various locations in Georgia. She was born Moina Belle Michael on the 15th August 1869 in Good Hope, Georgia and she had military influences right from the start, her father being a Confederate veteran. She enjoyed a good education beginning at the Lucy Cobb Institute and the Georgia State Teachers College in Athens, Georgia. She progressed to Columbia University in New York before taking up a post as professor at the University of Georgia. As war broke out she was forced to take a leave of absence and joined a voluntary program training YWCA workers who were designated for overseas service. She was actually based in Europe herself when war broke out and was part of the committee formed to help stranded Americans return home. 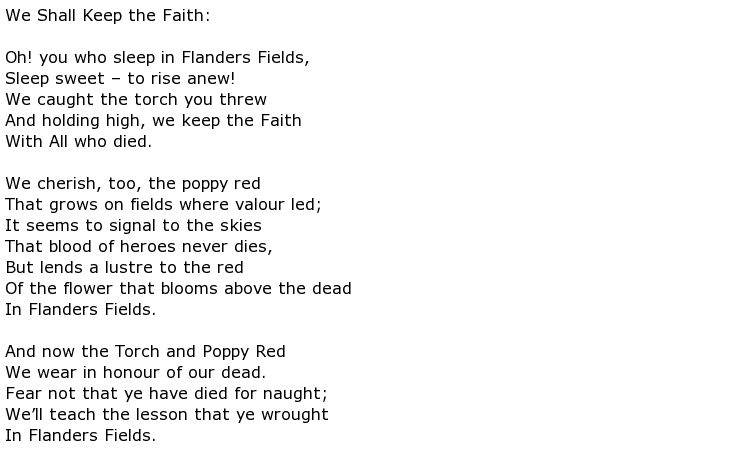 …that she made a vow that she would always wear a red poppy as an act of solemn remembrance. Her hope that others should follow her lead included the selling of silk poppies in aid of disabled servicemen, many of whom she was now teaching at the University of Georgia. It took three years but finally, in 1921, the was adopted by the American Legion Auxiliary as their remembrance icon and it has remained so ever since. Millions of people bought silk or paper poppies to wear on days of national remembrance and vast sums of money were raised to aid the recovery of war veterans and help their families. Michael’s tireless efforts won her the Distinguished Service Medal. Moina Michael became known as the “Poppy Lady” and her tireless humanitarian efforts earned her a number of other awards during her lifetime. The US Postal Service issued a stamp in her honour in 1948 and part of Highway 78 in Georgia became the Moina Michael Highway in 1969. She remained a teacher until 1938 before devoting the rest of her life to the “poppy cause.” Disabled veterans were employed on the manufacture of these poppies, thus enabling these men to contribute to a worthwhile cause and earn some money for themselves in the process. Moina Belle Michael died on the 10th May 1944 aged 74.